Music is your passion, protect what matters. Enter the total cost to replace all of your current music gear. This is an estimate subject to completion and approval of an application. Rates are subject to change. MusicPro paid me within 10 days. I was on the phone with them less than 15 minutes, and it was no problem. It was unbelievable. I can’t recommend musicians get instrument insurance highly enough, and I can’t recommend MusicPro highly enough. Less than 10 days later I had a check for all that I lost! They handled my claim quickly and without fuss….I count on MusicPro to insure my recording studio and my gear on the road. …because I was insured with MusicPro, I was able to resume my tour with confidence. 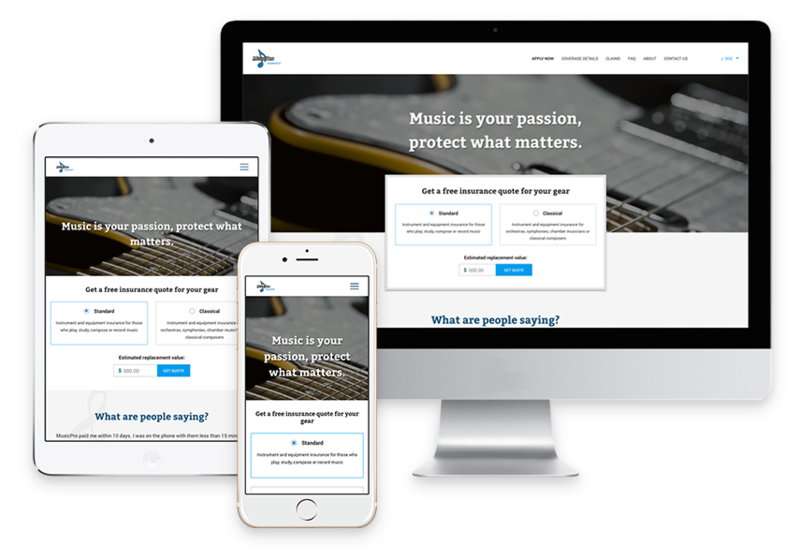 MusicPro allows you to manage your policy from any device, anywhere, any time.